If you want to master the art of using hashtags on social media you’ve come to the right place. And knowing how to use hashtags is crucial for any digital marketer in 2019. That’s why we want to walk you through the dos and don’ts of using hashtags—as well as show you how to use them for the biggest social networks. But first, let’s take a look at what a #hashtag is exactly. Fun fact: The first hashtag ever used in this way was #barcamp. It was posted by Chris Messina, a product designer and internet consultant. Hashtags that spread quickly and get used by a lot different users begin to trend. That means that the keyword term is popular and getting widely used online. That doesn’t mean that every hashtag you set out to use should trend. It all depends on why you’re using your hashtag. Using hashtags in your social media posts can greatly increase awareness and engagement. Twitter reported that brands who use hashtags see a 50 percent increase in engagement compared to those who don’t. Hashtags have also been shown to positively impact your number of retweets as well. Hubspot’s Dan Zarrella found that tweets that include hashtags were 55 percent more likely to be retweeted and shared by other users. Hashtags are a very effective way to build your brand via promotional material, announcing new products, or just generating interest for your business. Here’s a good example from Lay’s Potato Chips. They utilized the #DoUsAFlavor hashtag in order to generate excitement for and promote the launch of their new chips. Toilet paper company Charmin utilized hashtags in a much more tongue-in-cheek manner with their #TweetFromTheSeat campaign wherein they encouraged users to tweet at them from… well, the toilet seat. However you choose to approach your brand building, be sure to utilize the power of hashtags so you get the most out of your efforts. Hashtags aren’t just good for brand building and engagement—they can also help you find your target audience as well. More specifically, hashtags can help your target audience find you. How? Simple: By using the hashtags they use. This method is especially effective within social media sites like Instagram where users can follow hashtags and see all the posts that use them. For example, if someone follows the hashtag #travel, they’ll see recent posts that have that hashtag in their feed. This is incredibly useful for brands who want to build their audience. By leveraging these popular hashtags that people follow, you’ll be able to get the attention of different users. Be sure to leverage this tool when you’re trying to build your audience on social media. Now that we know what a hashtag is and why brands should be using them, let’s break down how you can find the right hashtags. Because while they’re a powerful way to increase engagement, build your brand, and find your audience, it’s not going to matter if you’re leveraging the wrong hashtags for your social media posts. To help you out, here are five great ways you can find the right hashtags to use for your brand. The influencers within your brand’s niche can give you a lot of insights into what hashtags are working. And it’s simple: Go through your influencer’s social media posts and take note of the hashtags they’re using frequently. 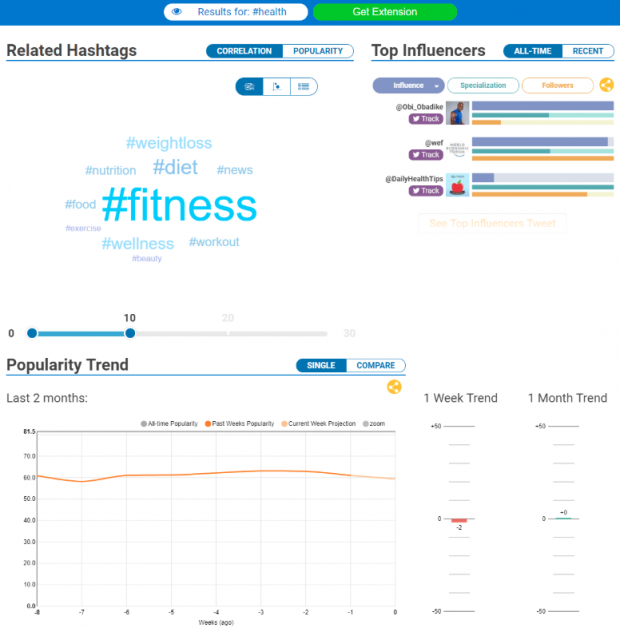 To streamline the process even further, you can use a tool like Hashtagify.me. This tool allows you to search different keywords throughout Twitter and Instagram and see the top influencers for that keyword. For example, if you enter in the term “health” it’ll search through all of Instagram and Twitter’s health hashtags to find the top influencer using that keyword (FYI it’s Obi Obadike). This can give you a great idea of what people in your niche are doing—and what you can do to optimize your hashtag usage. BONUS: Be sure to check out our definitive guide to influencer marketing to get the most out of working with influencers. Zooming out from influencers, your brand’s entire niche can give you great insight into what hashtags you should be using. Whenever there’s a trending topic or hashtag within your industry’s circle on social media, take note of that. You can jump on that hashtag in order to increase your brand awareness too. Another great tool you can use is RiteTag.com. This handy platform gives you instant hashtag suggestions based on real-time data whenever you make a social media post. Whether it’s Twitter, Facebook, or Instagram, RiteTag will give you solid suggestions on what hashtags you could be using based on its usage. The platform also comes with a browser extension that can give you real-time suggestions as you write your post. Remember: The more you niche down your target market, the more customers you’ll attract. The same idea goes for social media posts and hashtags. The more specific and targeted your hashtags are, the more opportunities your target audience will have to see you. Try and hone in on a passionate community that shares an interest in one specific theme. The more specific you can get with your hashtag, the more targeted your audience will be—and a targeted audience generally means better engagement. If you don’t have your own business hashtag, find one or two existing ones that really fit the photo. Say, for example, your business sells baby products. Instead of using #parents—resulting in parents of children of all ages—opt for #newmom. 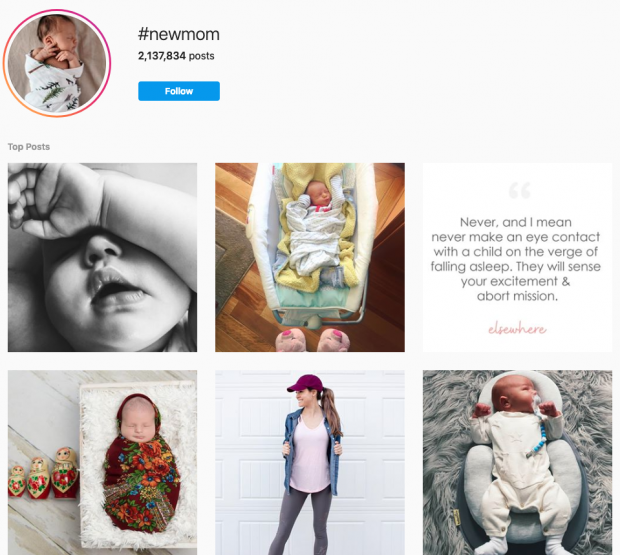 The hashtag #newmom is specific to mothers of newborns—your target customer. 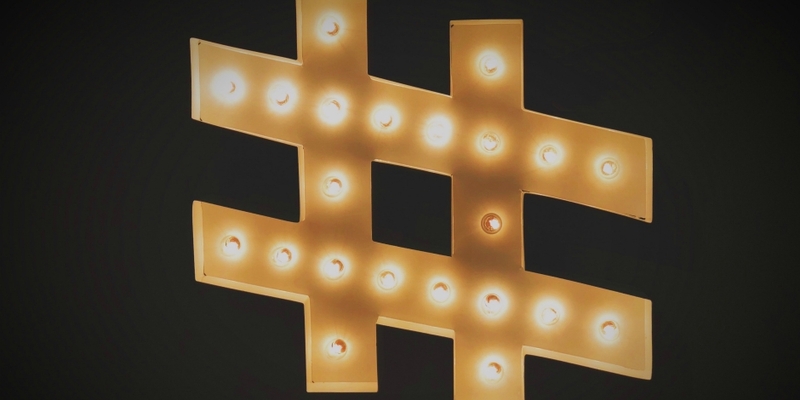 Brand hashtags don’t have to (read: shouldn’t) mention your brand name. BUT they should represent your brand and what you stand for. Destination British Columbia created the hashtag #exploreBC. The tourism company uses it to share scenic photos of the Canadian province taken by their employees and the community. Seeing photos from regular people on the official Destination British Columbia account quickly prompted more of their followers to embrace the hashtag and share their own photos. As such, the company has created a growing movement that supplies them with fantastic, follower-generated content to use on their social accounts. Brand hashtags are also great for user-generated content campaigns and contests. Take the aforementioned #DoUsAFlavor campaign from Lay’s for example. Lay’s used the hashtag to encourage people to pitch their best potato chip flavor ideas. In doing so, they both engaged users and collected ideas. 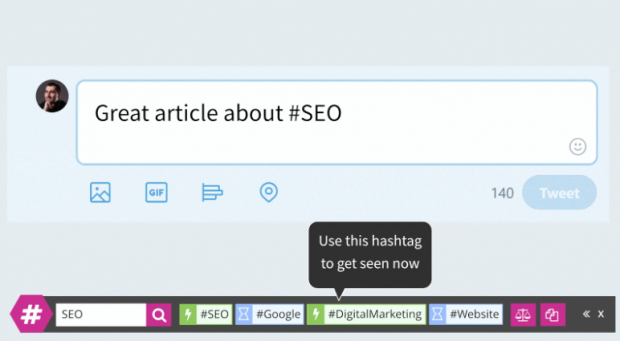 Brand hashtags will also organize all the posts that are tagged with it on a hashtag page. This is helpful if you’re using the hashtag to collect entries for a promotion or contest, as Lay’s was with the #DoUsAFlavor campaign. While hashtags on all social networks have the same fundamental purpose of content tagging and discovery, the use of hashtags still varies by network. We go into more detail on this topic in our guide to using Instagram hashtags to grow your audience. But to recap: Hashtags are going to differ based on your social network and the type of post you’re making. Hashtags on the photo- and video-sharing platform are often more focused on description of the content. This is at odds with Twitter, where hashtags tend to be more focused a topic of conversation, or a group of people (a chat for example) that you would like to engage. Before using hashtags, do research on the proper way to use them for that particular network. 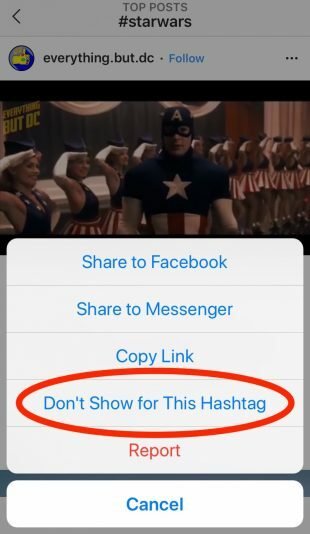 Most networks will have guides for hashtag selection and use (here’s Twitter’s, and again, our own for Instagram). Also take the time to discover the most popular and most relevant hashtags on a specific subject for each network. This extra time you invest will pay off in engagement down the road. Now it’s time to break down exactly how you can use hashtags effectively on the biggest social networks. Below we’ve included a breakdown on best practices for each social platform—as well as the optimal number of hashtag you should include in each post. It’s no surprise that Twitter is a great platform to utilize hashtags considering that’s where the trend originated from. Users can use the search function to look at the top posts surrounding a specific hashtag and get involved in the latest trends. That makes it a powerful tool for your social media strategy. As long as your profile is public, you can use hashtags to extend your brand’s reach. Any tweet that includes a hashtag is visible to people looking through that hashtag’s stream—even to people who don’t follow you. Remember: Make sure your hashtag is relevant to your messaging. You don’t want to jump on a trending hashtag just to push your brand. That’s an easy way to get users to hate you. 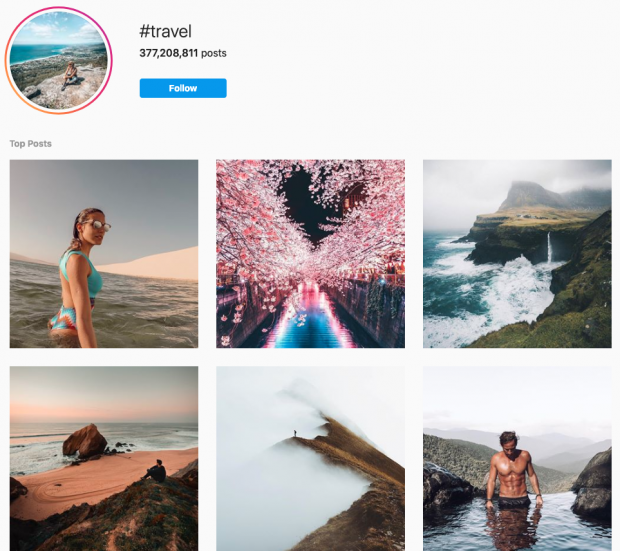 For the past few years, casual users and digital marketers alike have been treated to some massive upgrades from Instagram. Not only can you now follow hashtags you like and even use them in Instagram Stories, you can now leverage Instagram’s robust dashboard to look at the analytics of each of your posts. One key differentiator from Instagram hashtag usage and other social media platforms is the number of hashtags you can use with Instagram. Whereas platforms like Twitter tend to favor a low amount of hashtags, Instagram posts with more hashtags get more engagement. Of course, you can’t just use any hashtag you feel like. Use only ones that are relevant to the content you’re promoting. This is especially crucial since users can now report your account if you keep using irrelevant hashtags. For more, be sure to check out our article on how to use hashtags for Instagram. Like Twitter, you’re going to want to keep the number of hashtags to a minimum. Unlike Twitter, most Facebook profiles are private. In fact, the majority of Twitter accounts are made public (only 12 percent of accounts are protected), while the majority of Facebook accounts are private (28 percent are completely public). What does this mean? Well, since most people aren’t sharing their profiles publicly, your ability to extend your reach is much lower. After all, if people can’t get involved with the conversation with hashtags, how are you going to be able to reach them? Luckily, you can use Facebook to promote campaigns across multiple platforms. That means your brand can promote something like a contest or other campaign that you’re running somewhere else. By leveraging the same platform across every brand, you can increase awareness. Pro Tip: You can easily monitor your hashtags on Facebook by using the URL facebook.com/hashtag/_____. Include the keyword you want to search at the end. Hashtags are a very recent addition on LinkedIn—and its usage differs a little from other social platforms. Like Twitter or Instagram, users are able to search and follow for different keywords using the hashtags. That means using them in your posts and articles gives you a greater chance of being discovered by LinkedIn users following that keyword. And it’s simple: Whenever you write an update or article, just add the hashtag using the # symbol as you would other social platforms. Since LinkedIn is a primarily for a business, though, you’re going to want to keep your hashtags much more straightforward and professional. That means leaving the memes and trends such as #CareerEndingTwitterTypos for Twitter. So, to wrap it up: Using hashtags will allow you to make an impression on a wide social media audience. Make sure you’re sharing the best content, and making the right impression. 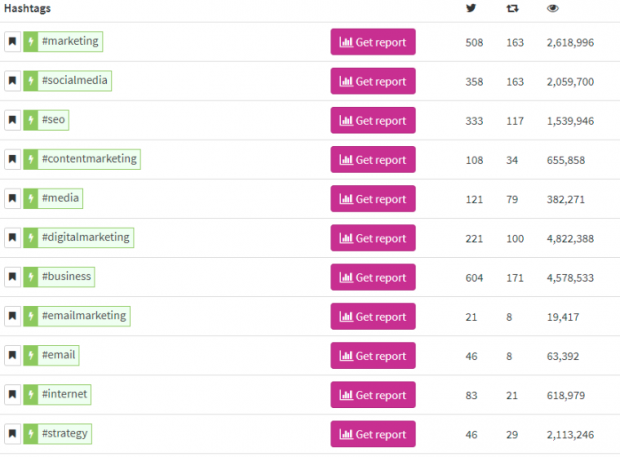 With Hootsuite you can set up streams to monitor hashtags and see how effectively you’re using them. Try it free today.